One in eight retired people in the UK, equating to over a million, will be living in rental accommodation in 15 years, treble the current number, according to new research. The study also found that 42% of the average retirement income will be spent on rent and the average renter planning to retire in 15 years’ time needs to save an additional £525 every month into their pension, some £6,300 a year, on top of current pension contributions, or work for an additional 5.1 years to cover growing rental costs in retirement. However, the research from Scottish Widows also found that some 67% of 50 to 64year olds planning to rent in retirement have no plans to increase their pension contributions to cover this shortfall. And 68% of those who would consider upping their contribution say they cannot afford to do so without a pay rise or significant compromise elsewhere. The research paints a bleak picture for renters across the UK, but certain regions will be hit disproportionately hard. 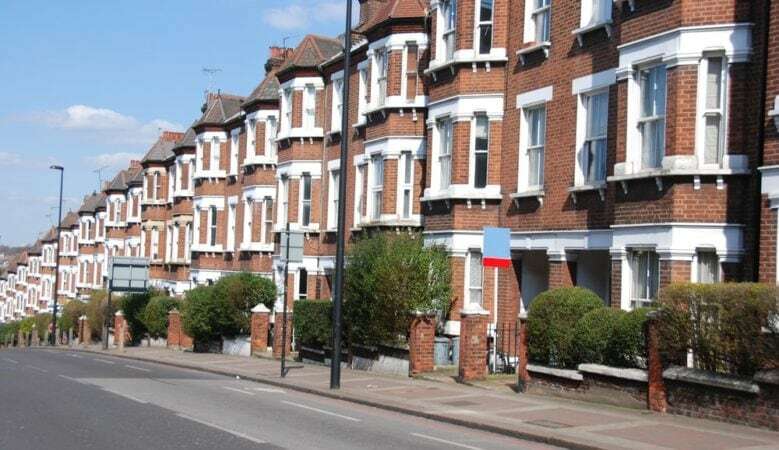 As the surge in property prices becomes increasingly unmanageable in London and demand for property in surrounding regions grows, pressure is expected to spread to the South East and East of England. In comparison, Northern regions and Wales will remain the most affordable. All too aware of the challenges ahead, renters across the country are also considering relocating for cheaper rent. The research reveals that 39% of those planning to rent in retirement would relocate and this rises to 65% in London where rental prices continue to soar. The situation is set to worsen, as more people struggle to step onto the property ladder. More than a quarter, 27%, of renters under the age of 45 don’t think they will ever be in a position to buy a property. Even among those who hope to buy a house one day, 15% anticipate they will still be paying off their mortgage well into retirement, rising to 26% of 25 to 34 year olds. ‘Generation Rent is a term often applied to younger generations, but our research shows that the problem extends right to the other end of the generational scale,’ said Robert Cochran, retirement expert at Scottish Widows. ‘The number of people renting in retirement is set to treble over the next fifteen years, but alarmingly few people are thinking about how they would cover the growing cost of a property lease when they stop working,’ he pointed out. ‘Whilst some people may choose to rent later in life, we also need to ensure it’s a more sustainable, secure option for an ageing population, many of whom will have no choice. We’re therefore urging the Government to consider ways to refine the housing market to better suit older renters through options such as open ended tenancy, with predictable rents and protection,’ he added. According to Douglas Cochrane, head of housing development at Lloyds Banking Group, renting in retirement can be a conscious choice and when making such a choice it is important that all financial implications for paying rent into retirement are fully understood. ‘The importance of saving through pensions or other investments to offset later in life rental costs cannot be underestimated. The white paper published in February 2017 refers to meeting the needs of an ageing population through appropriate housing provision. This report recognises not only the financial need, but importantly the need to build the right type of property suitable for later in life living,’ he explained. The common perception is that retirees either own their home outright or have a council tenancy, according to Dan Wilson Craw, director of Generation Rent. ‘So the Government will be in for a nasty shock as more of us retire and continue to rent from a private landlord,’ he said. ‘Many renters relying on pensions will qualify for housing benefit which will put greater strain on the public finances. The government can prepare for this by ensuring it delivers on its plans for 300,000 homes a year in order to bring rents down. More people facing a lifetime of renting also makes it essential that we make tenancies more secure to give tenants more stability in their lives,’ he added.